Most kids will say they don’t like school at some point in their lives. But what about when they hate it ALL. THE. TIME? The good news is it means their brain is functioning properly. And guess what? They might also be more intelligent than you realise. But a child who hates school is more likely to experience stress, anxiety and depression, fall behind in learning, lose friends and possibly even skip classes. So it’s important that parents get on top of it immediately to try and turn things around. Here’s what you need to do. Children should naturally like school, in particular the socialisation with friends and learning new things. So when they say they hate it (and not just homework), then you know something is wrong. The first thing you need to do is try and get to the bottom of WHY they don’t like school. It might turn out that they have no friends, are being bullied or have an undiagnosed learning difficulty which is making them feel stupid and frustrated. It could also be something unrelated to school, such as anxiety over their parents getting a divorce which is making them want to stay at home. 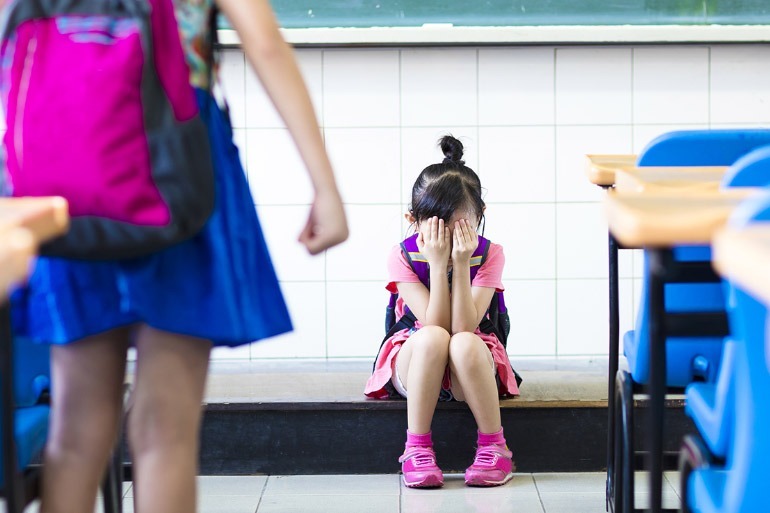 If you know what’s causing the problem you can then address it – such as discussing solutions for bullying and learning support with their teacher. If your child isn’t forthcoming with answers though then you will definitely need to talk to the school for more insight. You should also look for warning signs – e.g. boys tend to act out and misbehave, whereas girls become withdrawn and lethargic. Regular sick days and a refusal to talk about school are also other indicators. 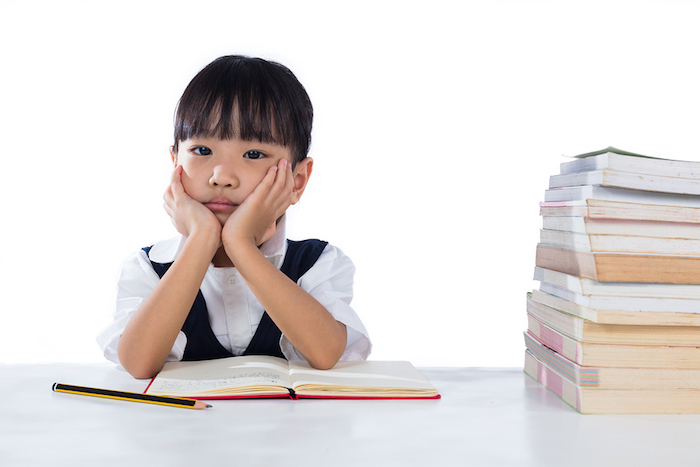 According to Dr. Judy Willis, neurologist and former school teacher writing for Psychology Today, when a child says they hate school it’s actually a sign that their brain is functioning properly. Healthy brains apparently identify potential threats and try and protect their owner. She also says that children who are quite intelligent often have a problem with rote memorisation (which is what’s required and valued at school),. This means they can fall behind and believe they’re not very smart, which in turn makes them not keen on learning. Crazy right? So what do you do to remove the ‘threat’ or feelings of inadequacy? The key, she says, is to build bridges for children. Help them connect their own personal interests with what they’re learning at school. This way their brain will attribute the happy thoughts and feelings usually reserved for what they love to school work and activities. This replaces the negative fight, flight or freeze mode their body automatically goes into when school is concerned. It makes it easier for them to focus and retain information. For example, if they’re learning about indigenous Australians in class, you could talk to them about your family’s last camping trip and how you cooked on a fire and slept outdoors, connecting a happy memory to something new they’re learning. 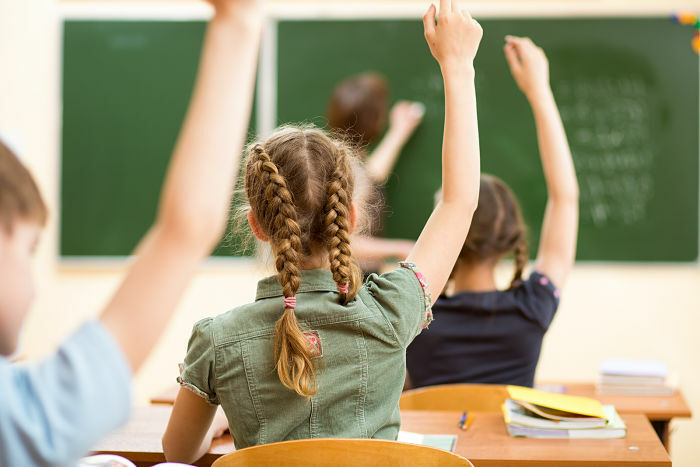 On top of connecting their interests with school subjects, encouraging your child to question things and uncover information is another way to get them keen on learning. Because if they’re personally interested, they’re more likely to be attentive and develop their skills. And that means less likely to zone out. For example, say your kid really likes cars. Get them to work out how long it would take to drive to a specific destination based on a set speed limit. This puts those maths skills to practice in a positive setting aimed at feeding their natural curiosity. The more interested and involved you are with what your child is doing at school, the less negative they’re likely to be as well. Plus helping them stay on top of homework, projects and other school activities has other benefits. It means they won’t get overwhelmed or forget deadlines. So if time permits, be abreast of all their school requirements and help them manage their time and be organised. You’ll also get more insight into their strengths and weaknesses, meaning that if tutors or learning support teachers are required they’ll get the help they need sooner. And you can encourage them to explore more opportunities they might not be aware of – such as trying out for the school play if they’re good at public speaking. Pointing out and complimenting them on areas where they excel will give them confidence and pride too. All things which can help them feel happier about going to school. Although it feels like a long road just remember that school it isn’t forever. Many anti-establishment kids who do poorly at school actually go on to thrive in the real world. So if your kid is a true school hater there’s still hope! Do you have a child who’s struggling at school? Here’s more tips about how to help them cope, learn better and make school more enjoyable.